IAN International Aid Network is currently implementing the project: “Psychosocial treatment of perpetrators of domestic violence as well as assistance for permanent change”, with the financial support of the Embassy of the Kingdom of the Netherlands.  Men’s Crisis Centre will be an active partner throughout the implementation of the project, in terms of training provision, participation in seminars and conferences. This project was created with the objective to identify the positive local and international experience in the application of the model of psychosocial treatment for perpetrators of partner violence, to find the most appropriate legal framework for its implementation in Serbia and to bring systemic solutions that will ensure the sustainability of services and development this program. In accordance with the overall objective, it is important to train a sufficient number of professionals for the implementation of psychosocial treatment for perpetrators of domestic violence, which is also one of the specific project objectives. Within the project, provided are free training for professionals that will implement the Men’s Crisis Centre. So we take this opportunity to inform you that in October 2016, the training “Training professionals for the treatment of perpetrators of violence in partner relationships” will be held. At the beginning of education all participants will receive training manual for the implementation of treatment programs. The educational program is accredited by the Republic Institute for Social Protection, and carries 15 points for licenses for employees in social protection. The educational program is delivered by certified coaches, psychotherapists from the NGO sector. Acquiring specific skills of participants to perform the treatment with the perpetrators of violence.